If you have been assessed as not eligible for NHS Continuing Healthcare, you may be considering an appeal. We recommend our Expert Analysis Service as your starting point. One of our expert caseworkers will discuss your care needs with you, review the paperwork from your NHS Continuing Healthcare assessment and decision, and scrutinise the process. We will then produce a written document setting out our expert and honest opinion of the quality of your assessment, and provide you with tailored advice. If we find there are specific grounds for appeal we will also send you a personalised action plan on how to proceed. This is followed by a telephone or Skype consultation to discuss the analysis and answer any questions you may have. Our Expert Analysis Service has a fixed cost of £795 plus VAT. "Beacon have been very supportive in my fight to get CHC funding for my now deceased mother. They carried out an analysis of my appeal documents which was excellent in every way." "I thoroughly recommend Beacon for their invaluable support when trying to navigate the system. They have the knowledge and expertise to formulate a challenge when the evidence suggests someone meets the criteria and yet are denied funding." "My caseworker really cared and understood the stress that can be caused when those paid to administer CHC appear determined not to listen. 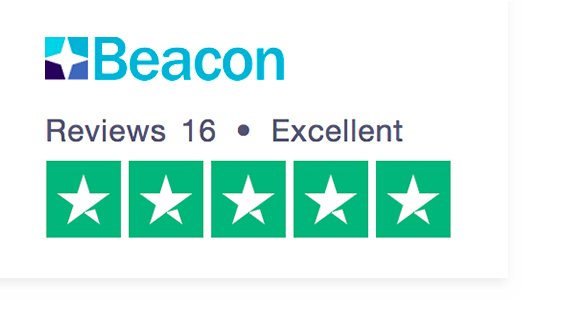 I would recommend Beacon wholeheartedly." Appealing an NHS Continuing Healthcare decision can be a long, complex and stressful process. We don’t recommend entering into the process unless you have clear and specific grounds that give you a chance of success in appeal. We can apply our expertise and experience to identify and explain these grounds, if they exist, in your case. But if you don’t have good grounds for appeal, we’ll be honest about it. This may come as a blow, but could save you months of unnecessary stress and worry during the appeal process. If you go ahead with an appeal, our advice and action plan will give you a firm footing from which to do so. Alternatively, if you wish to appeal but want us to manage it for you, our analysis will get us off to a flying start in our Full Appeal Management Service. If you already preparing to appeal a decision, our Full Appeal Management Service can lead the process on your behalf. If you wish to make a formal complaint about NHS Continuing Healthcare, contact us about our NHS Complaints Service. Or if you’re not looking for casework, but have a few questions about your assessment and NHS Continuing Healthcare, contact our free Information and Advice Service.